With Marine Drive at its entrance and a jagged cliffline to its rear, Adelup park has developed into one of the island's busiest central parks. Not only is it a favored recreational site, the park also functions as the surrounding grounds for Guam's seat of Government. During the Japanese occupation of Guam, Adelup point was a heavily armed site with fortifications built into the rock cliffs. A battery of large guns was also mounted at the point. The newly built Agat-Umatac highway gives travelers a panoramic view of the coastal areas of the Guam Territorial Seashore Park. Here you can see one of the most picturesque pair of bays Guam has to offer, Cetti and Sella. Sella Bay once was the site of a Spanish leper settlement. 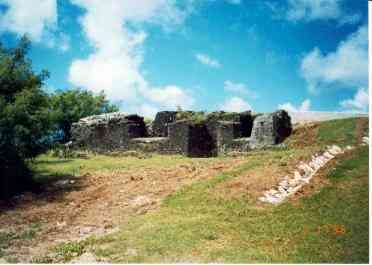 Cetti, on the other hand, was an ancient Chamorro village that thrived on the bank of the bay in 1000 A.D. This park is located in the city of Agana. 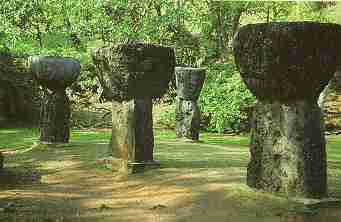 The Latte Stone set was transferred here from an original historic site within a military base so that all may appreciate and ponder upon its cultural value and significance of the Chamorro people of Guam. These stones were used as foundations for ancient homes. The construction of the Old Spanish Bell Tower in the village of Merizo dates back to the year 1910. 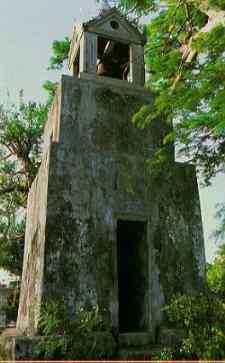 Father Cristobal De Canals built the stone and cement tower as an element of his project to raise the standard of living in the village. When the bell rang villagers knew that it was time for either a religious event, town meeting or mass. The Tower's bell remains in its perch today, but is no longer in use. For over two hundred years, the Plaza de Espana served as the seat of Government and the main residence for the leaders of three separate and distinct nations. Evident by its style, the Plaza was designed by and first accommodated the needs of Spanish Governors. These European leaders occupied the Plaza from 1736 to 1898. Today, three principal Spanish structures remain standing in the Plaza. Some refer to Puntan dos Amantes park as Two Lovers' Leap. (We hear about this earlier in the tour.) Others call the site Two Lovers' Point. Whatever the english interpretation, the park has one of the most breathtaking vistas. 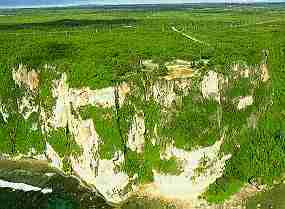 Found in Tumon, the park is about a mile off the main road and sits atop a cliff with a three hundred foot drop. 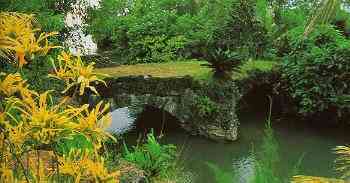 The only Spanish bridge discernible in Agana is the Sagan I Tolai Acho or San Antonio Bridge. The wrath of World War II resulted in damages to the bridge. Renovation to the structure came some years later in 1966. Today, the Agana Spanish Bridge is one of the most attractive sights at the Sagan I Tolai Acho Park. Besides the bridge, this park is also home to a statue of Guam's legendary mermaid, Sirena. 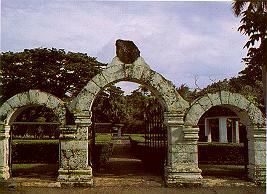 More popularly known as Fort Apugan, the historic Fort Santa Agueda is the sole fortification of the Spanish era that survives in Agana. Fort Santa Agueda rests atop a bluff overlooking Guam's capital city. Spanish, American, and Japanses forces all made use of this fortification dating back to the early 1800's. Once a bustling seaside town, Sumay no longer exists as a village today. 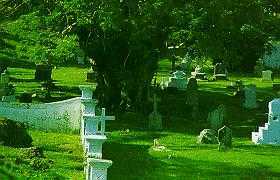 All that remains is its pre-war Chamorro/Spanish cemetery. Sumay village was a prosperous, two hundred acre bayside community. 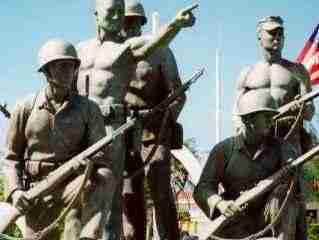 When Japanese warplanes bombarded Guam in December, 1941, Sumay was the first village attacked. The villagers fled on foot into the nearby jungles. Later many people resettled in the villages of Agat and Santa Rita, never allowed to return home again. The antiquated buildings, such as the Martinez-Notley, Rosario and Lujan houses all have manposteria (coral, rubble and lime mortar) construction for their walls and are impressive structures. 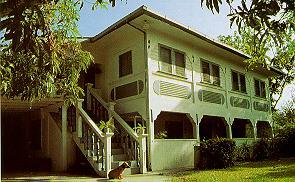 One of the most significant of the Agana Historic District homes is the Lujan House. An early 1900's structure, this building served first as a private residence. 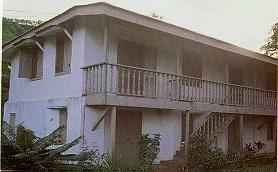 Later it became a school called the Guam Institute. Today, the Lujan House, and the rest of the Agana District homes remain on both the Guam and National Registers of Historic Places. Weren't those historic sites wonderful. Let's move on now. Looks like Gramps is headed the wrong way, but I think if you give him a good click, he'll take us to our next stop on the tour. It's a great one.